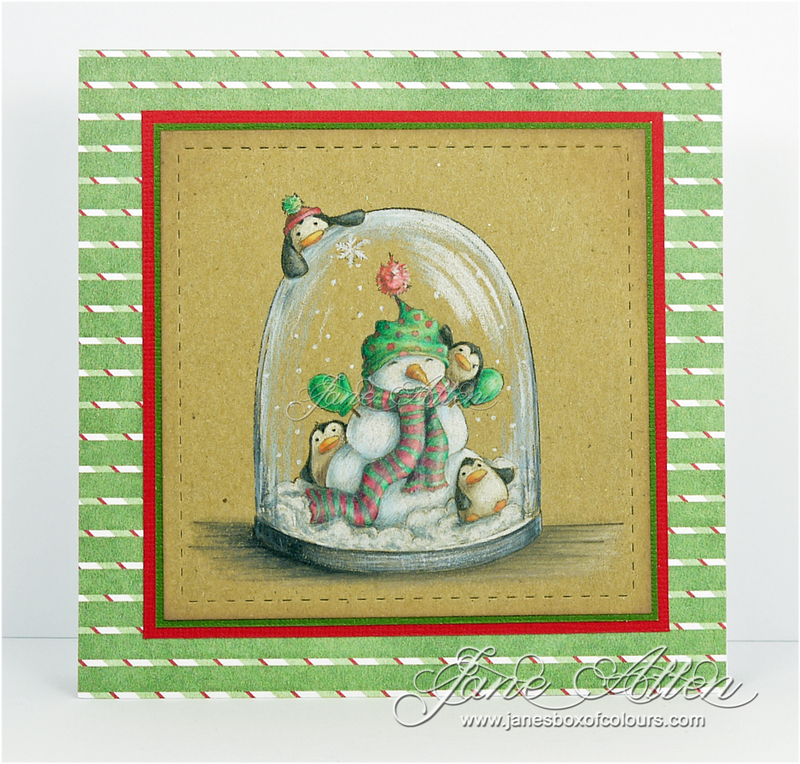 Jane's Box of Colours: .......and shake! The card looks really cute. 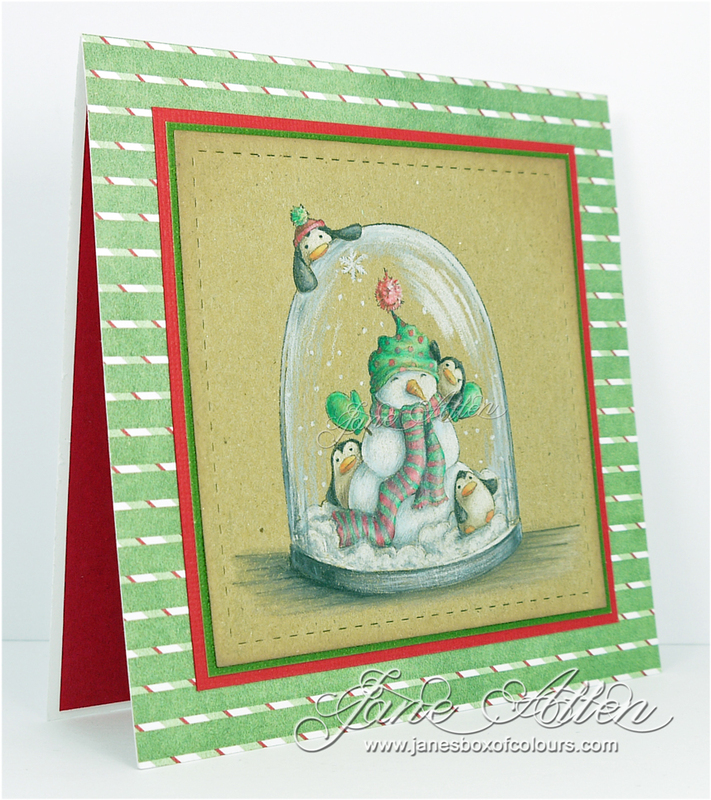 The overall look of the card, the little penguins and the snowman in the snow globe, just perfect for Christmas. Great work!